Caravan and camper repairs are often beyond the capabilities of most mechanics and engineers, if only because they don’t have a large enough facility or the specialised equipment required. If your caravan requires work, you’ll almost certainly have to come to a specialised caravan, camper and motor home repair facility like ours. 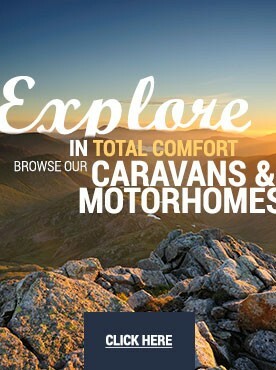 Caravans and Campers Limited has many years of experience working on every common make or model, and we can confidently say that there is not much we can’t handle. So if your fridge is acting up, your heater is having trouble, or even if your tap is dripping, Caravans and Campers Limited can help. After all, no job is so small that it's not worth doing right! Better still, we can do the work quickly and for less than you might imagine. We also know how to handle non-fault insurance repairs, and are happy to work with assessors at every stage. This means that your entire repair may be accomplished at no cost to you, and without you having to argue the point with every invoice. So if you need repairs, contact us today at 01939 236400. 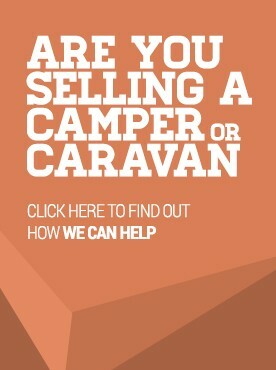 You really do need to have a habitation check done on your caravan or camper every year. Not only does your safety depend on it, so does your motor home’s performance and resale value! If your motorhome is still under warranty, you’ll also need to have the annual check done promptly to keep your warranty. If you’re already out of warranty, habitation checks become even more important, as a clear record helps maintain a high resale value. A habitation check is like an MOT for the parts of your caravan or camper that you live in, including all water, plumbing and electricity. Obviously, undetected electrical problems could cause real safety concerns, and even a small water leak can cause thousands of pounds worth of damage. An annual habitation check is, therefore, absolutely vital to the safe enjoyment of your camper or caravan. Please note: a habitation check or a habitation service does not include any inspection or servicing of the base vehicle, nor will it address any legal roadworthiness requirements. It is NOT an MOT, and will not substitute for an MOT. Arrange your annual habitation check today! Call us at 01939 236400. Today’s caravans and campers are typically fitted with a full suite of home-quality gas appliances. Of course, when using gas (LPG or otherwise) in a small, enclosed space like a caravan or camper, safety is of paramount importance. All of your gas appliances should have been tested when they were installed, and each should have been checked for safety the last time it was serviced, but how long ago was that? In order to minimise the risk to you and your family when actually using your caravan, you should have it gas checked at least once a year, even if your insurance doesn’t require it. What Is a Caravan Gas Check? Of course, we can combine our gas safety check with your annual habitation check, which is by far the safest, and most convenient option. Contact us today at 01939 236400 to find out how little it could all cost!